South Korea said it detected an earthquake Friday near North Korea's main nuclear test site, the fourth since the country's sixth and most powerful nuclear test explosion last month. Some experts suggested the area is now too unstable to conduct more bomb tests. South Korea said it detected an earthquake Friday near North Korea's main nuclear test site, the fourth since the country's sixth and most powerful nuclear test explosion last month. Some experts suggested the area is now too unstable to conduct more bomb tests. The magnitude 2.7 quake occurred about 54 kilometres northwest of Kilju, the town where the test site is located in northeastern North Korea, according to officials at South Korea's Korea Meteorological Administration. Officials said the quake wasn't man-made and didn't appear to cause any damage in the area. The officials, who requested anonymity citing department rules, said they believe the four quakes probably happened because the underground nuclear test on Sept. 3 weakened or affected the tectonic plate structures in the area. The region isn't one where earthquakes naturally occur and no quakes were detected after the five smaller nuclear tests North Korea has conducted since 2006. The officials declined to say how the recent quakes might have affected the area and the test site, where all of North Korea's nuclear bomb tests have taken place. But some civilian experts said North Korea may stop using the site. 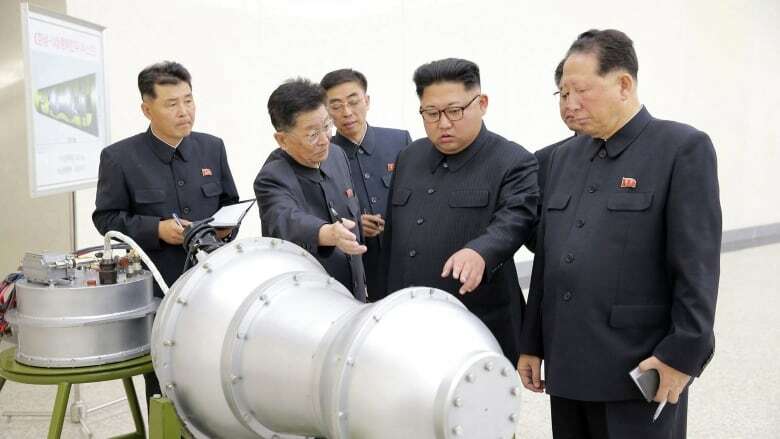 North Korea, which is accelerating its efforts to develop more powerful nuclear weapons and missiles, is unlikely to waste its limited nuclear materials by conducting tests that are weaker than its sixth. But a more powerful underground detonation at the current site could be "potentially suicidal," not only because of the weakened ground, but also because of the threat of a volcanic eruption at Mount Paektu, which is about 100 kilometres away, according to Kune Yull Suh, a professor of nuclear engineering at Seoul National University. Du Hyeogn Cha, a visiting scholar at Seoul's Asan Institute for Policy Studies, previously expressed similar worries, saying he wondered whether North Korea would be able to carry out another nuclear test in the area. Other experts said the quakes might have been caused by landslides or the collapsing of test structures such as tunnels. North Korea's state media haven't reported any of the four quakes detected by South Korea and other countries. The North has vowed to bolster its nuclear and missile programs despite increasing U.S.-led pressure on the country. Worries about a potential military clash between the U.S. and North Korea have also intensified in South Korea and elsewhere, with U.S. President Donald Trump and North Korean leader Kim Jong-un exchanging crude personal insults and war-like rhetoric. At the height of the standoff between the countries last month, North Korean Foreign Minister Ri Yong Ho told reporters the country could conduct a hydrogen bomb test over the Pacific Ocean. Suh said Ri's comments might indicate the North is unable to carry out new explosions at its test site. "It's likely that North Korea will conduct its next nuclear test in the stratosphere, or about 100 to 300 kilometres from the ground, where it will be able to conduct more powerful detonations," Suh said.